See just how easy and fun camping can be with your family of ten when you have this Trail Runner travel trailer by Heartland RV in tow! 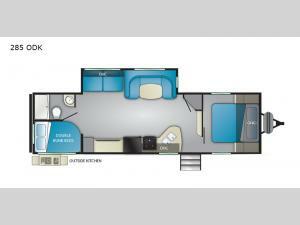 In the rear you will find a set of double-size bunks for your kids, and the U-shaped dinette and sofa can also double as sleeping space, if needed. The chef in the family will enjoy the choice of fixing the meals outside at the exterior kitchen or inside at the full kitchen. 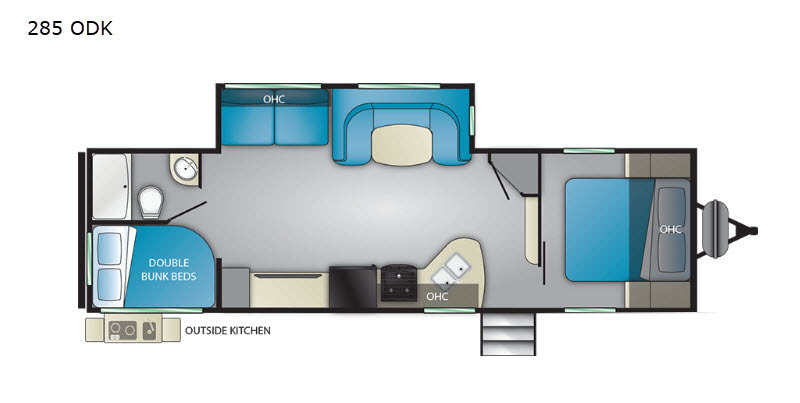 You will also find plenty of storage space throughout this model for all of your necessary camping items and more!